Alpha, Bravo, Charlie – what is it? Briefly put, Alpha, Bravo, Charlie, etc., are words used in spelling of the 26 letters of the Latin (resp. English) alphabet. They were designed to minimize the number of errors when spelling a series of letters during a radio transmission. The system is most commonly called the NATO phonetic alphabet. Standard English letter names like B (bee) and P (pee), or M (em) and N (en) sound virtually the same when transmitted in low quality. Especially in aviation, misunderstandings can be fatal. In addition to that, aviation is an international business, and the English names differ from those in other languages, which would lead to even greater misunderstandings in communication with non-native speakers. 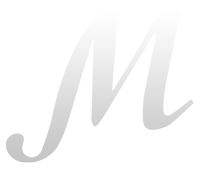 Notice that “Alpha” is written as “Alfa” and “Juliet” is written as “Juliett”, which are the spellings still in use in the international version of the alphabet (they are used to avoid possible critical mispronunciations by speakers of other languages). The choice of words was based on hundreds of thousands of comprehension tests involving 31 nationalities, and the main criterion was distinguishability of each of the words when followed and preceded by other candidates. 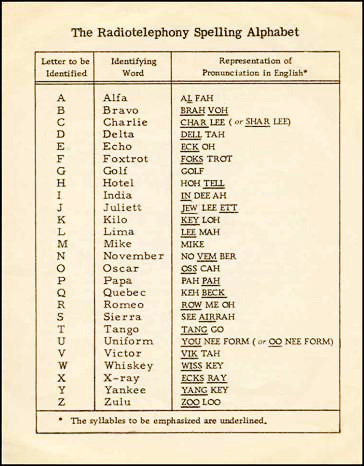 The designation “NATO phonetic alphabet” has become widespread because the alphabet is used by all allied navies of NATO. By the way, if you haven’t read my guide on how to avoid the most common mistakes in English, make sure to check it out; it deals with similar topics.